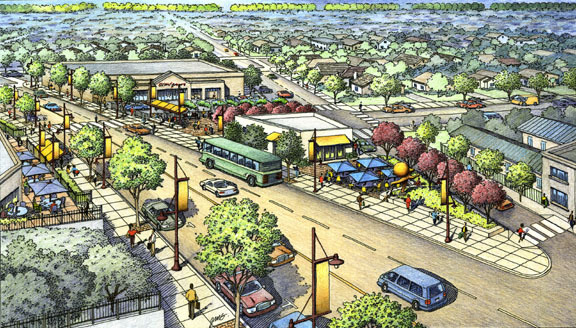 The MacArthur Boulevard Conceptual Commercial Revitalization Plan provides urban design recommendations to improve the physical appearance of three target areas along MacArthur Boulevard, between 73rd Avenue and Durant Avenue at the Oakland/San Leandro border. 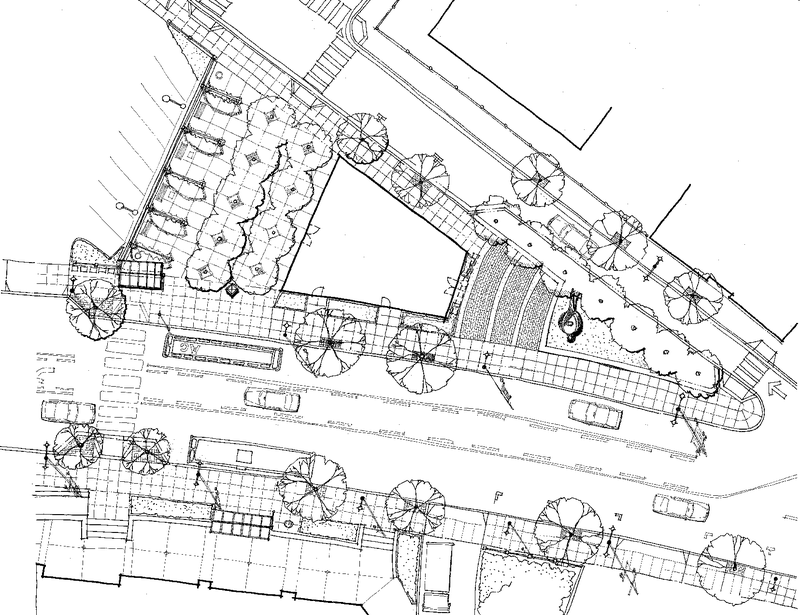 Design concepts were developed and refined through a community process that involved a Technical Advisory Committee and three community meetings. 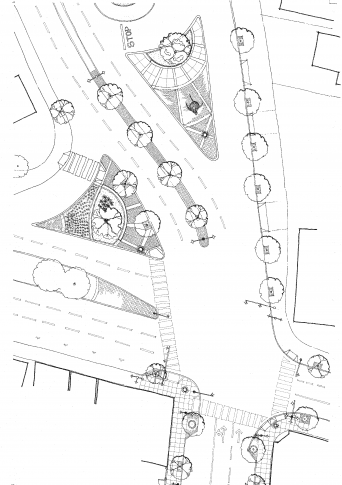 The plan encompasses public improvements including streetscape, gateway and traffic calming measures as well as catalyst commercial developments. To create an environment for economic revitalization and vitality. To enhance the appearance and identity by creating an attractive streetscape. To improve public safety by creating a safe pedestrian environment and traffic calming. 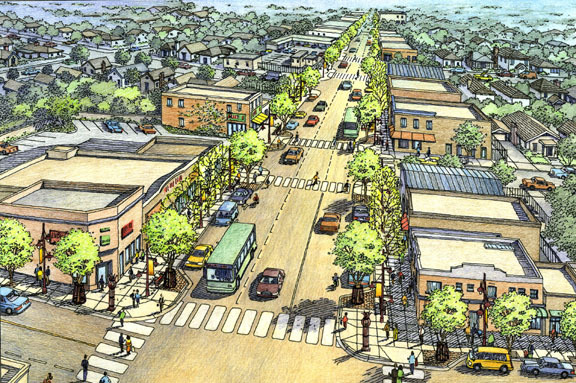 Provide urban design recommendations to improve the physical appearance and offer advice on catalyst commercial development potential along the targeted areas of MacArthur Boulevard. Key locations identified for economic revitalization through catalyst commercial development.